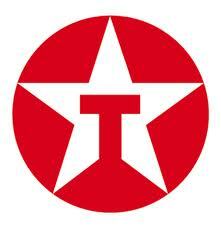 In 1960, Herbert Hill Peyton opened the first Gate service station in Jacksonville, Florida. The name "Gate" was derived from the 1960's Chamber of Commerce slogan, "Jacksonville - Gateway to Florida." Gate flourished during the 1960's, as Gate stations began to appear throughout the Southeast. As a result of the 1972 oil crisis, management recognized the need to diversify and began to acquire unrelated businesses. Diversification efforts were successful, and today Gate operates eight concrete plants located in Florida, Alabama, Kentucky, Tennessee, North Carolina, and Texas. In addition, Gate owns and operates four private clubs - The Ponte Vedra Inn & Club, Epping Forest Yacht Club, The Lodge & Club and the River Club. Past and present real estate holdings throughout the Southeast include Deerwood Park, a 1,000-acre office park in Jacksonville, Riverplace Tower, a mulit-tenant high-rise in downtown Jacksonville, and the Cummer Trust Property, a fifty-four hundred-acre tract of land located in north St. Johns County. Service stations are still Gate's core business, and Gate operates 225 state-of-the-art service stations with convenience stores in six Southeastern states. 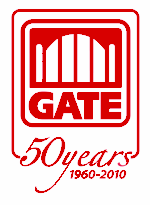 Gate's continuing growth and prominence in the marketplace are directly related to the dedication of its employees. Gate has consistently been able to outperform larger, stronger companies due to the willingness of its people to go the extra mile to get the job done. And, while business is becoming so much more sophisticated with automation and specialization, it all comes back to people. These employees are the reason Gate is a dynamic company with an exciting future. Gate Fuel Service now offers Diesel Exhaust Fluid (DEF)! DEF is mandatory for all diesel engines manufactured for model year 2011 and beyond. Rudolf Diesel originally designed the diesel engine to use coal dust as fuel, and then experimented with vegetable oil (biodiesel) before the petroleum industry came out with the product now known as diesel fuel.